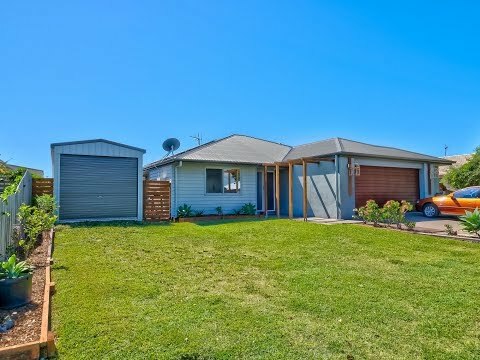 This inner suburban oasis was completed in 2010 and occupies a spacious 670 m2 beach side allotment with plenty of space to accommodate caravans and boats and already has a great 7x3 Metre shed with 2.7 Mt high entry doors & drive - thru access to back yard. The stylish kitchen really does form the heart of this home and includes a large island bench for entertaining and preparing meals for both every day & special occasion. There is loads of storage and quality appliances including electric cook top and range hood, dishwasher, pantry and large concealed refrigerator space. This family inspired home utilises its space perfectly, with vast indoor living spaces which seamlessly open out to the outdoor alfresco entertaining area where you will enjoy Hervey Bay's year-round sub-tropical temperate climate. Staying cool over the warmer summer months is as simply as taking a swim in the sparkling in-ground magnesium pool - which is sure to sooth away any aches and pains as well. Beautiful secluded Toogoom beach is also with-in easy walking distance via a number of walkways. The owners have committed to purchasing another property and are calling for an immediate sale – so here’s your opportunity!